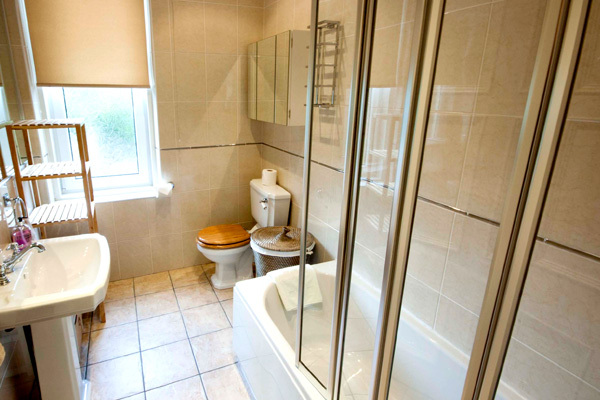 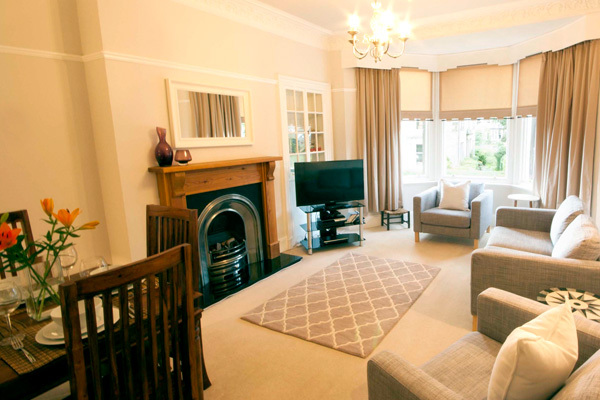 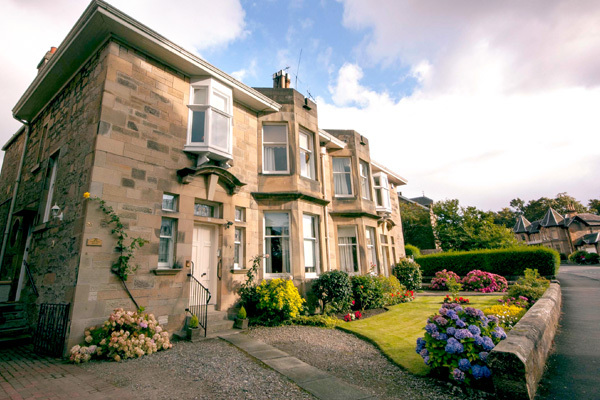 Just 2 minutes’ walk from Stirling city centre, yet located on a quiet residential street in the Kings Park area, Pear Tree House offers luxury accommodation for 4 people over the first and second floors of a Victorian sandstone villa. 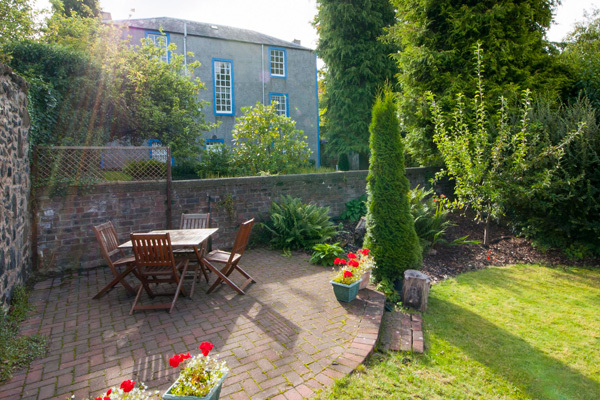 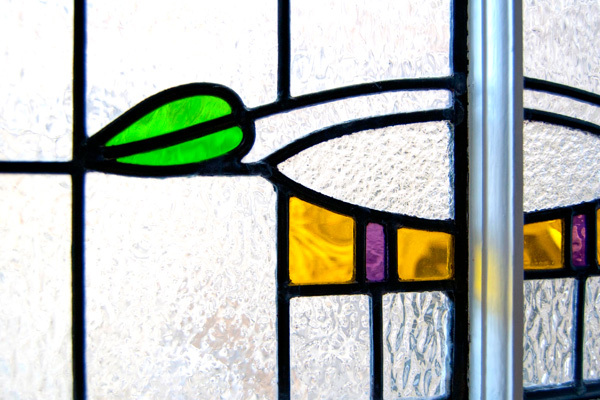 Converted in the 1930s, Pear Tree House has a lovely arts and crafts feel. 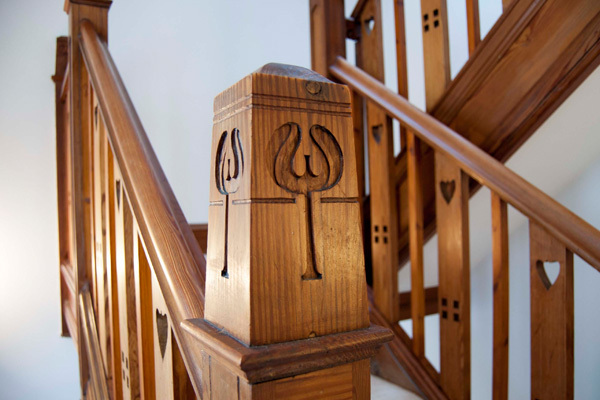 From the private side entrance, an ornate wooden staircase leads you up past stained glass windows into the flat. 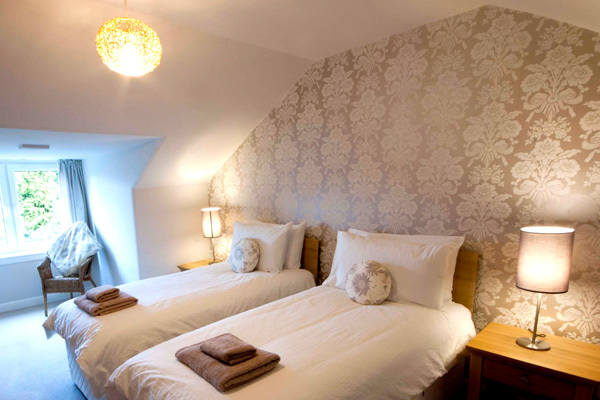 On the lower floor there is a double bedroom, bay windowed lounge with dining, large bathroom with bath and shower over, breakfasting kitchen and shower room. 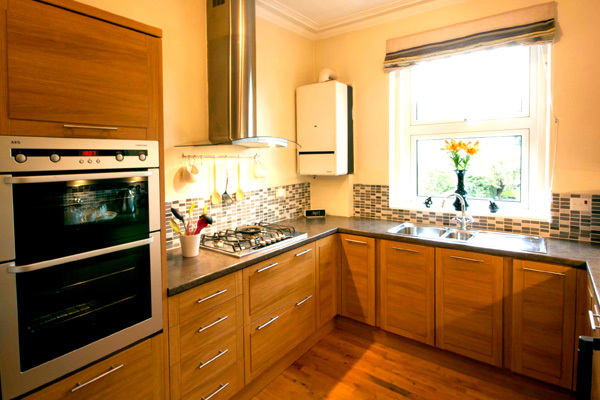 The kitchen has a gas hob, electric ovens, microwave, dishwasher and washing machine/tumble drier. 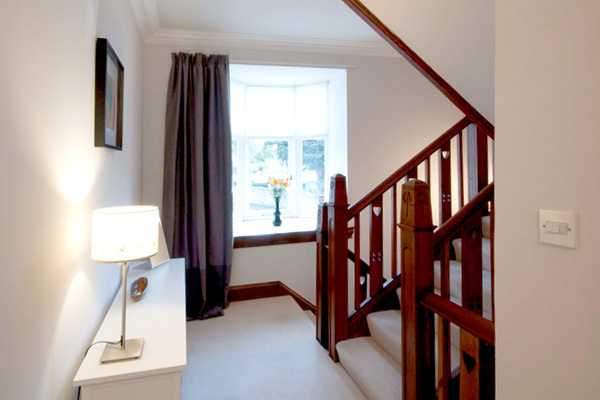 On the upper level, bedroom 2 has zip and link beds so can either be a twin room or have a super-king size bed. 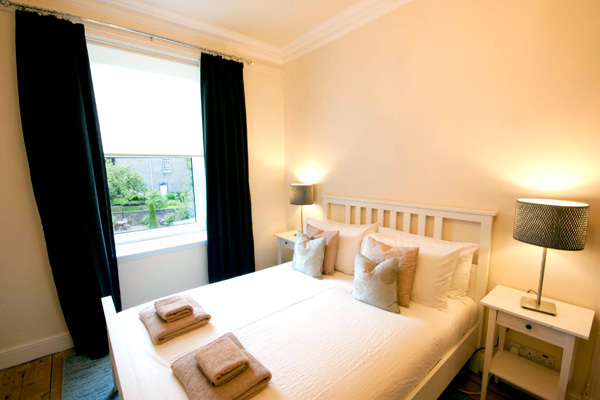 Outside there is off-street parking on the drive and an enclosed garden with outdoor furniture so you may relax after a day of sightseeing. 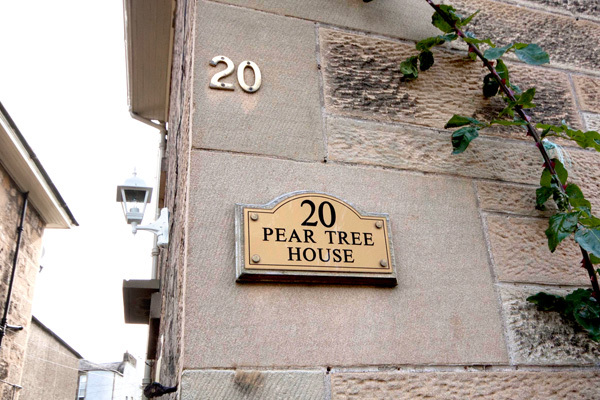 Pear Tree house is conveniently located within Stirling, just 10 minutes’ walk from the railway station and within walking distance of shops, bars and restaurants and all Stirling’s historic attractions. 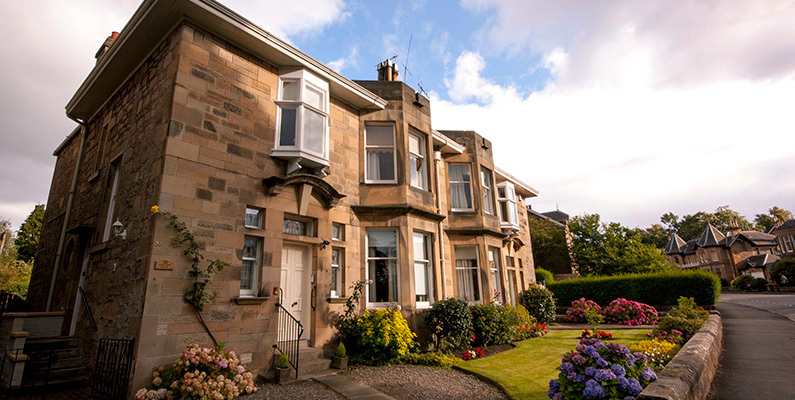 Stirling is within easy reach of Glasgow and Edinburgh so you are perfectly situated to take advantage of all Scotland has to offer from this central location.